Somehow, Nikola convinced me that it would be not only okay, but great, to take a weekend trip to Belgrade. 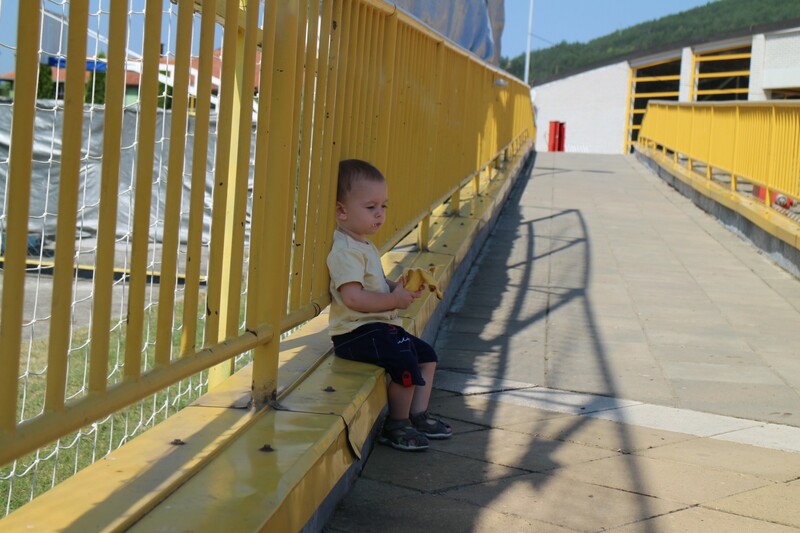 Belgrade is about 6 hours drive from us, and we have a toddler. I wasn’t exactly optimistic about the trip. We left Friday night, drove 2.5 hours to Sofia and stayed overnight at a family friend’s house. The idea was that if we left very early in the morning, Peatuk would sleep through the first 2 hours. It was a great idea. So great, in fact, that Peatuk woke me up at 6am and we were ready to go by 7… er… maybe 830. Peatuk did sleep all of the way to the border. However, because of passport checks and the stop and go and waiting in line at the border, he woke up and was not about to go to sleep again. We dismissed the idea of going to Nis for breakfast and instead stopped just over the border in Dimitrovgrad. After killing a few hours of toddler energy, we jumped back in the car. By Nis, he was asleep again and we skipped the stop altogether in favor of the toll road to Belgrade, which was impressively free of pot holes and actually allowed us to travel the 120km/hour speed limit. A few hours later, we had found our apartment, which was yet another awesome AirBnB booking. We were in a quiet but artsy neighborhood, filled with schools, cafes, and parks, and just a 15 minute walk to the touristy section of town. The apartment was sparse but comfortable- the perfect combination for a handsy toddler, and they provided us with a pack and play. We were in Belgrade to meet up with one of Nikola’s clients, but we had a few hours to kill before supper, so we wandered the city. Peatuk, an excellent killer of time, played on several parks. He didn’t care that the sun was beating down oppressively and there wasn’t a breeze of fresh air winding its way through the concrete buildings. We saw the courthouse, the parliament building, the main square and shopping alley. Honestly, I was impressed with the large park we wandered through, but most of the city was just another large city. I was happy to have the day to explore with my husband and son, though, so the trip was not bad. For dinner, we met with Nikola’s client, his client’s cousin, and his client’s cousin’s girlfriend in Skadarlija. I was excited to go there, as it is supposed to be the bohemian section of town, similar to Montmartre in Paris. I mean, I consider myself a bohemian writer of sorts. Or I did. So, wouldn’t I just melt perfectly into a place that once was for writers and artists? But once was is not is. Honestly, I wasn’t impressed with Skadarlija, just as I wasn’t overly impressed with Montmartre. However, the food there was excellent, and the company was awesome, which made the entire trip worth it. And really, a place like Skadarlija is not supposed to be about the history infused in it, but the conversations and ideas that are born of it. 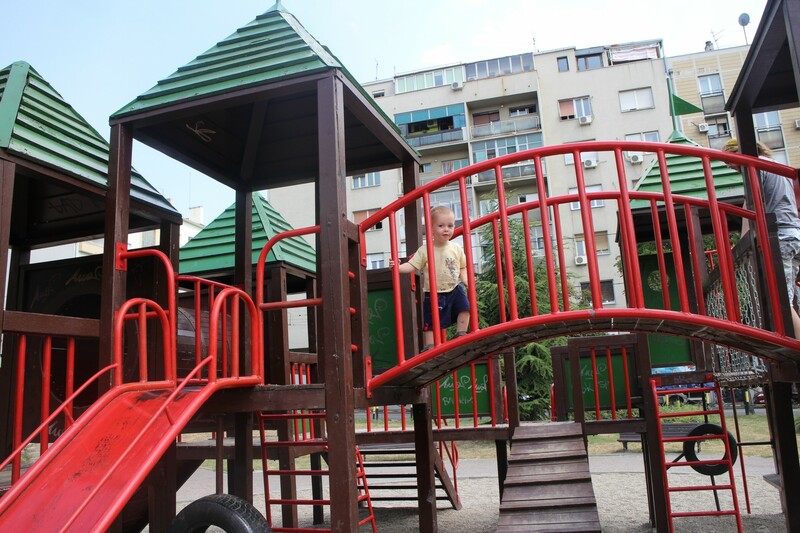 Nikola’s client’s cousin is from Belgrade, and he was very enthusiastic about the city. After dinner, he took us to the fortress, through the main walking street, talking the entire time about Serbian culture and the changes to the city over time. He was a wealth of historical and social information. Suddenly, I found myself immersed in a place that I had only been skimming the surface of. His passion was completely contagious and by the end of the night, I found myself understanding how Belgrade can be an awesome city to live in. I found myself thinking that one night was not enough to understand it. I found myself wanting more. Unfortunately, the next morning we had time for breakfast and then had to leave. After breakfast, we stopped for coffee in what I would call a hipster bar, except that it had three old men drinking coffee in it, so it retained some reality. There, I had my first real mint julep since I moved to Eastern Europe. It was divine, and made 6 hours each way, which is really 8-10, completely worth the trip. Back in the car, Peatuk slept most of the way to Nis. There, we hunted down lunch, bought a new stroller for Peatuk, and revisited the fountain that Nikola and I had taken pictures in front of when we first started dating. It felt comfortable in Nis. Familiar yet different from three years ago. Then, it was back in the car for a two hour drive, then a two hour wait at the border, a brief dinner, and back to our friend’s home in Sofia. 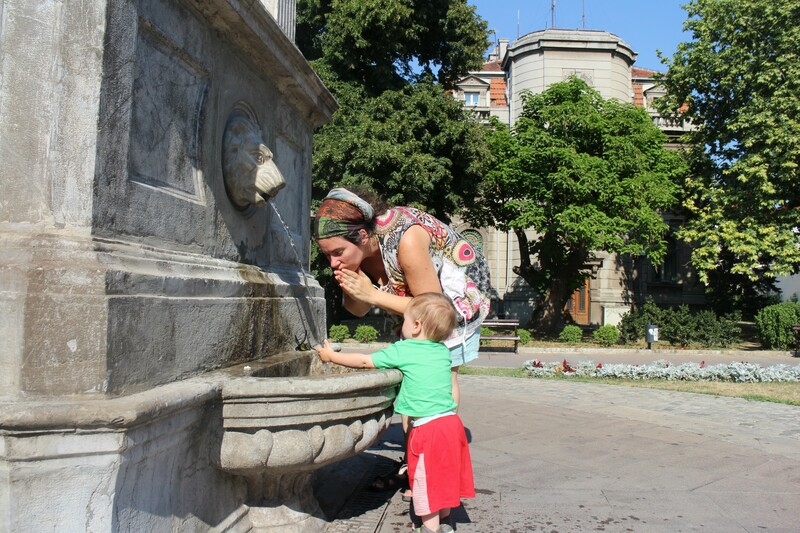 In Sofia, we met with another client and then returned home. Apparently, travel is still possible with a toddler and a husband that works 70 hours a week. To Daycare or Not to Daycare, What a Question!